Standup Paddle boards for every occasion. 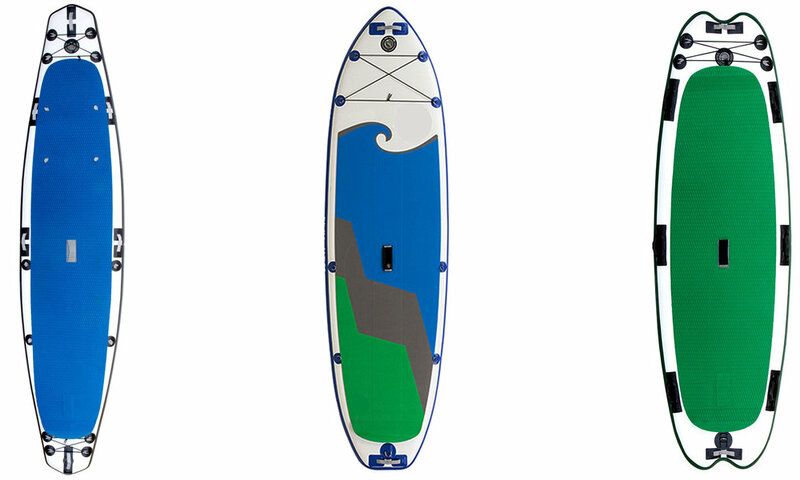 our 12' 6" x 31" x 6" touring board is a custom designed sup board with luxury touring in mind. it has many features that other boards do not. such as extra tie-down points for your gear, a full-deck pad so you can carry your dog, extra d-rings and tip/tail bungie cords for storage. our all-around sup board is an amazing board option for our friends that want to go have fun on a sup board that offers the most stability and a great workout. or for those that just want to go cruise around a cove or to seek out secrets spots that others cannot get to by land. our custom designed yoga board is amazing for all our yoga practicing friends. as well as for those that like to go for a fun paddle without needing to use another board. Our yoga boards are stable and easy/fun to use. What's included in a "straight-to-water" SUP Kit?